Production Has Begun on ABC's "Detroit 1-8-7"
It's Christmas in July at Comerica Park Today! Is the Future of Cities Being Built in Detroit? “As a returning native-Detroiter, I am encouraged by the amount of opportunity and talent that abounds in our city. 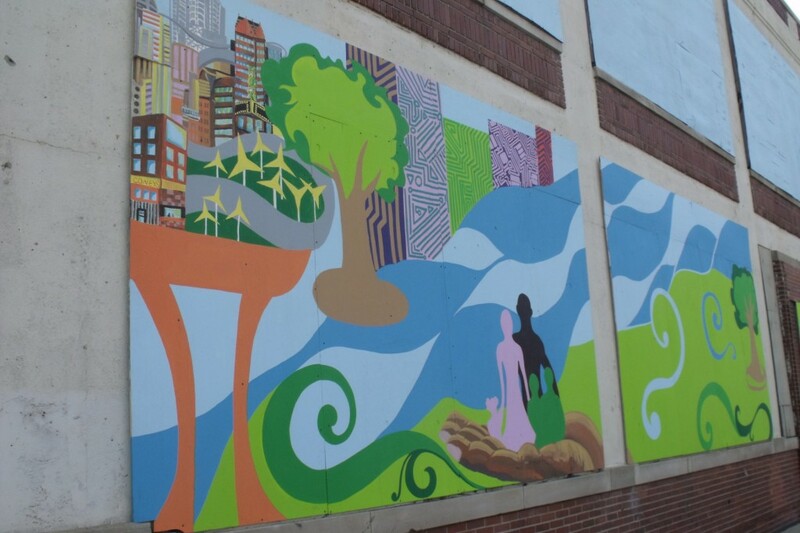 This mural project serves to show how transformative public art can be for a space, as well as how art brings people and community together. Through collaborative vision and work we at the Detroit Mural Factory were able to turn an eyesore into a focal point; wrapping a block-long blighted building with a vivid modular mural in three weeks. The American Beauty | Detroit Mural depicts our past, present, and future in terms of our legacy of rich culture and industry. The motif of light is used throughout to represent Detroit as a seat of ingenuity, and a symbol for our resilience. The Woodward Avenue view pays homage to the unique history of people and industry in the New Amsterdam area, and marks a tipping point towards the new green industry now blossoming in this place. The Burroughs portion depicts our ingenuity and forward movement toward green technology and industry and urban agriculture. The large wooden, student-painted butterflies symbolize our spiritual and industrial metamorphosis and demonstrate artistic collaboration, as they are part of artist Chazz Miller’s 2010 Papillon Effect Project. The Cass Avenue view shows a snapshot of the future, surrounded by flourishing clean technology, while being cradled by the Spirit of Detroit.